When gentrification takes over and a thriving metropolis erupts from what was once the authentic way of life, the locals who inhabited the area before it became a tourist hotspot get lost in the shuffle, pushed to the side, even forgotten. This is the case for the areas that surround the gem that we all know lovingly as Casco Viejo. 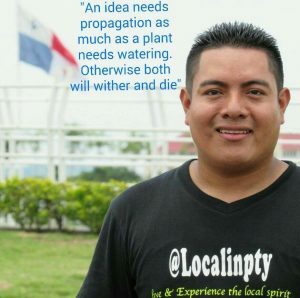 Recently upon connecting with Victor Peretz, CEO of Localinpty, I learned two things quickly. One, El Chorrillo is not some too-far-off location as I thought it to be; it’s next to Casco Viejo, as Victor kindly enlightened me upon the misunderstanding. 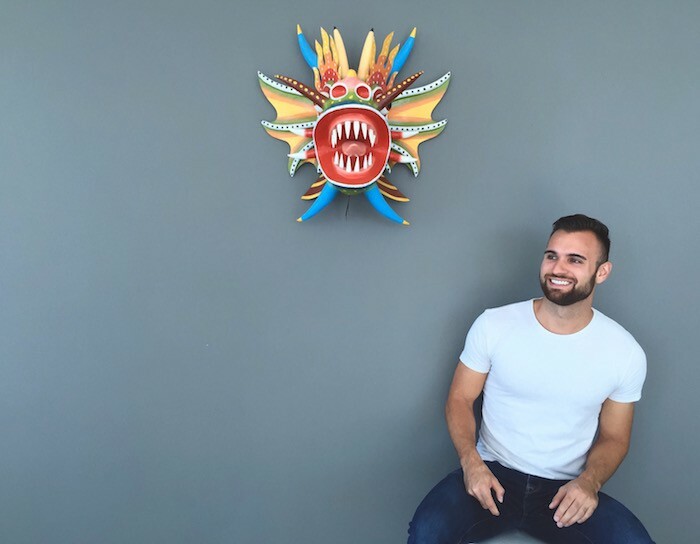 Two, Victor is on a mission to shine a light on the forgotten corners of Panama City, such as El Chorrillo—a bright light, at that. “Hablo English” is the name of one of Victor’s programs. This weekly gathering plunges you right into the heart of the once red zone of violence and gangs—no place for a tourist to wander through willingly. Today, El Chorrillo is not as dangerous as it once was, but it is still far from what we know to be its neighbor, Casco Viejo. 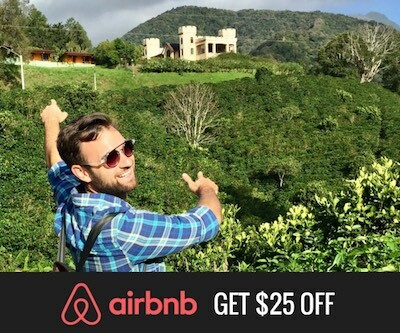 This program is fit for the socially conscious traveler looking to see the undiscovered side of Panama City, and more importantly, the real people who have dwelled here before it became a hotspot for tourism. The historic walls are covered in stories untold, with side streets and alleys that have still not yet been restored since the Invasion in 1989, nearly 30 years ago. 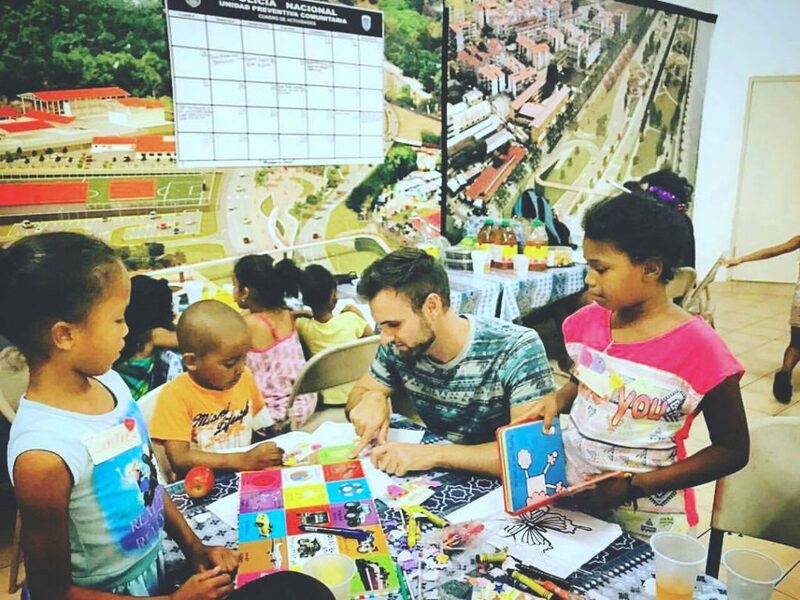 With Victor’s weekly program in El Chorrillo, you dive right into the reality of what’s sadly been left behind as Panama City progresses. With “Hablo English,” you get right to the heart of it with the area’s small, innocent children, many of whom do not even make it to school because the bus will not come through their neighborhood. “Hablo English” gives you an opportunity to learn and experience the authentic Panamanian culture, traditions, and daily life, while simultaneously helping young Panamanian children by sharing your stories with them. Exchanging knowledge through stories, art, songs, and play, watch as their little eyes light up with wonder when you help them to draw a heart, a star, a casita—just a few of the requests I gladly obliged today. Of all the fun and exciting sight-seeing to be had in Panama, spending a few hours at “Educate Me And You Educate A Nation” will leave a lasting impression that sticks with you long after your stay in Panama, or if you are here to stay, perhaps you will come again. 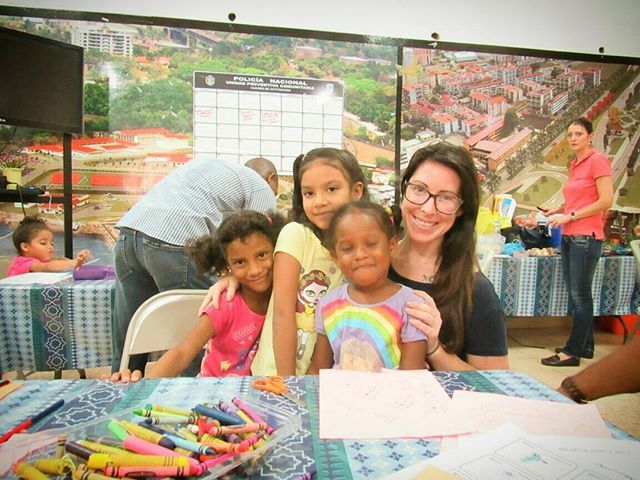 Take this chance to connect, collaborate, and share with the local children of Panama, helping them to grow their English language skills. Don’t let your time in Panama pass by without taking this opportunity to leave it just a bit better than it was before your visit. 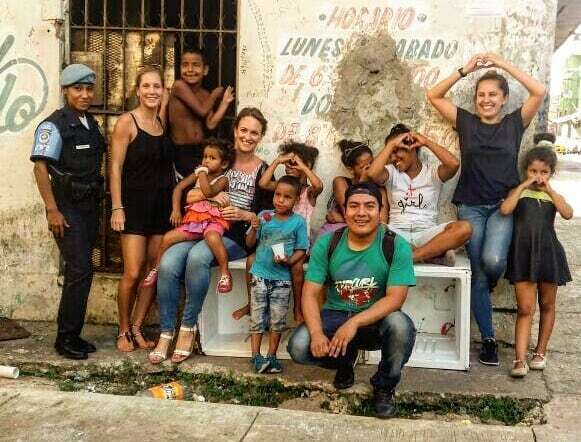 El Chorrillo is one of the poorest neighborhoods in Panama City, and the truth is that you can help turn the tide by spending your morning with the real children who call it home. Join us and come to understand why Victor abides by his slogan, “We Are More Than Just A Famous Canal.” For more information, please contact Victor at localinpty@gmail.com. 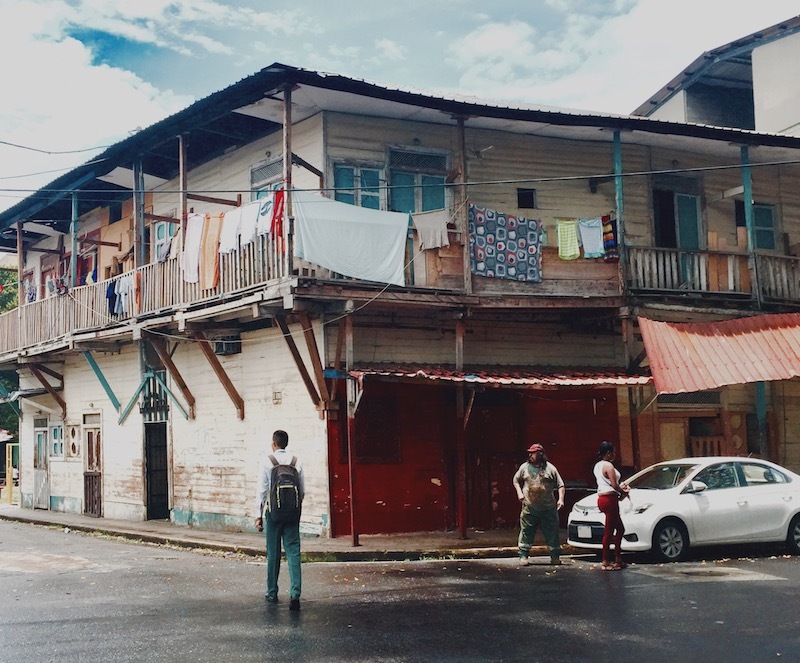 This was a guest post by Brittney Schering (@weavindreams_n_wordplay), an international writer fluent in wanderlust and wild abandon that made the recent move to Panama. 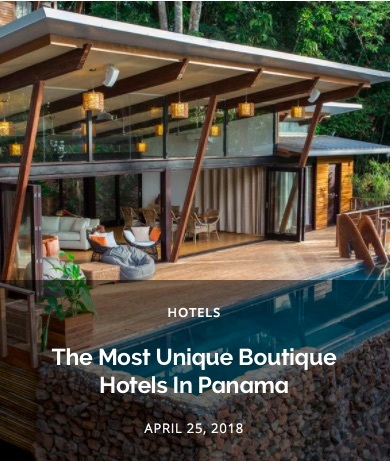 Have an article, idea, opinion, tips, or just about anything else Panama related you would like to write about on PTY Life? Become a guest blogger like Brittney by sending a message to hola@pty.life. The streets of El Chorrillo maybe old and rundown and in the past considered dangerous, but it’s not about the buildings its about the people of El Chorrillo, a true community, come and meet them with me.